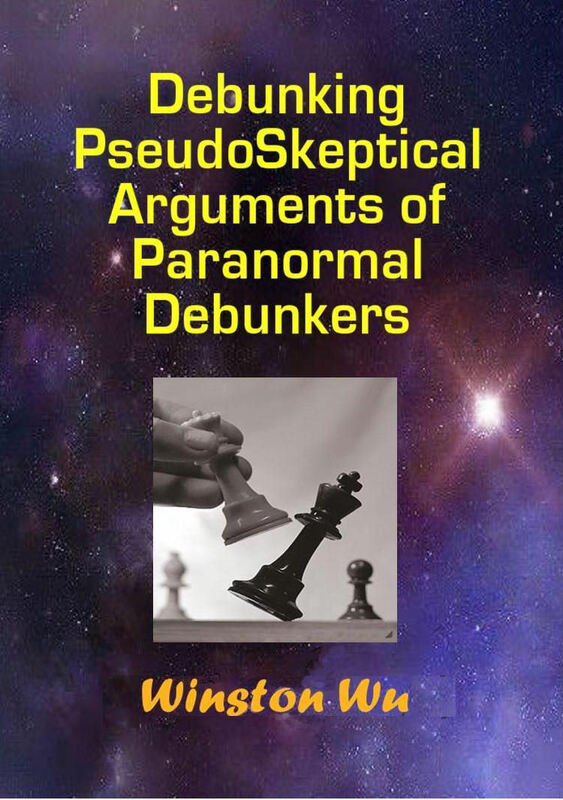 PseudoSkeptics are notorious for cherry picking the evidence. If it doesn't fit in with their views or the position of the establishment, then it's false, no matter what. Period. They do this with all things, not just paranormal claims. They only hear the witnesses they want to hear, see the evidence they want to see, and ignore the rest. This has been demonstrated time and time again, up to this day. One classic example well known in paranormal circles was when CSICOP was first formed. One of their first projects was to debunk Astrology. During their research, especially into the statistical findings of Michel Gauquelin, one of their founders Dennis Rawlins discovered that the team was committing the "file drawer effect". When the evidence and results they found didn't fit their hypothesis (which was that Astrology was all bunk) they simply "filed it away". They only wanted evidence that disproved Astrology. They had an agenda, in other words. This disgusted Rawlins, who wanted the team to be about open minded nonbiased inquiry. So, he quit and published a paper called Starbaby, which you can read here. Of course, CSICOP denied it (what else do you expect them to do) but their action was consistent with what pseudo-skeptics do - they cherry pick only the evidence they want. Here is a specific instance involving the most celebrated skeptic, James Randi. Long ago, when Randi appeared on Arthur C. Clarke's "World of Strange Powers" to test some dowsers, he concluded that they did no better than chance. However, Clarke noticed a critical flaw in Randi's reasoning. Randi combined the results for the water and metal tests, which ought to be separate. If you separate them, you find that the dowsers achieved odds of one in a hundred in the metal test. Clarke concluded that this result was "significantly more than Randi admits." Obviously, Randi only saw what he wanted to see, and only the result he wanted. No objectivity at all. And even Michael Shermer, one of the more mellow pseudo-skeptics, does this on his own show! Here are two examples (which you can see on YouTube). When he did a controlled test of Astrologer Jeffrey Armstrong with two control groups, one with their real birth charts and the other shuffled up, it turned out that his accuracy was extremely high with the subjects with their real birthcharts, as opposed to the randomized group which produced results no better than chance guessing. This was phenomenal as it was the first time a pseudoskeptic would be proven wrong on his own show. But with a pseudoskeptical audience to appease, what does Shermer do? He has to conclude that the results are inconclusive of course and nitpick anything he can find to cast doubt on the whole thing. In fact, he doesn't even put that video on his YouTube channel, in effect denying the results of his own experiment! You can see the experiment with Jeffrey Armstrong below. In another episode, Shermer attends a remote viewing class, and amazingly, he gets a highly specific hit himself by drawing a pattern in the grass that looked like Stonehenge, which was the target picture. He even wrote that the pattern was in the grass in England! Another student in the class even wrote the word "Stonehenge". For a while, Shermer is astounded. But then he starts looking for flaws and misses, and focusing on that instead, claiming that the misses discredit the whole thing, ignoring his own amazing hit. If that's not selective cherry picking, then I don't know what is. But of course, with a pseudoskeptical audience to appease, you have to come to such conclusions. See that episode below.